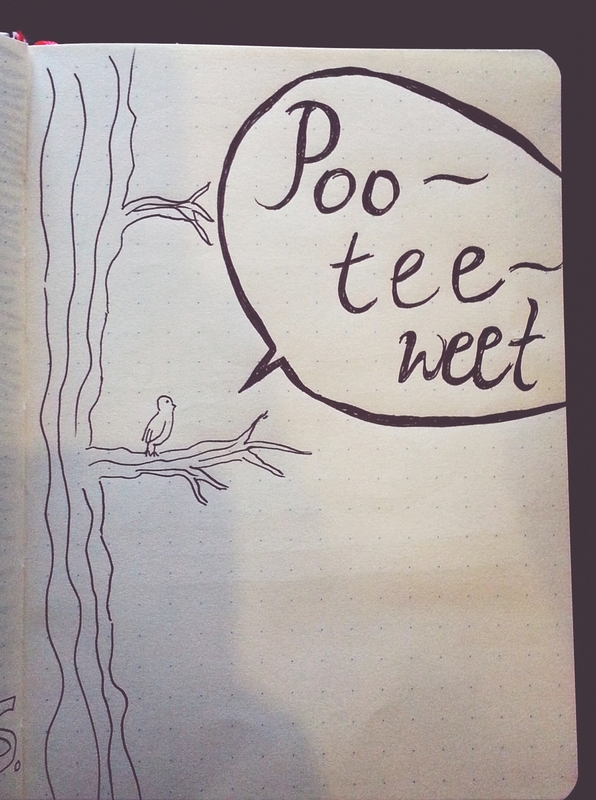 Whenever I read books, I try my best to write down the quotes that struck me the most. There are times that I fail to write them down because it disrupts my reading, and unfortunately, that happens most of the time. Lately, I’ve been doing something that A LOT of people are now doing but perhaps aren’t aware that they’re doing it: Art Journalism. Well, it’s supposed to be drawings of some sort that you do everyday, or any kind of art from different types of media, and it supposedly helps you organize your cluttered mind. I’m doing mine differently, though. 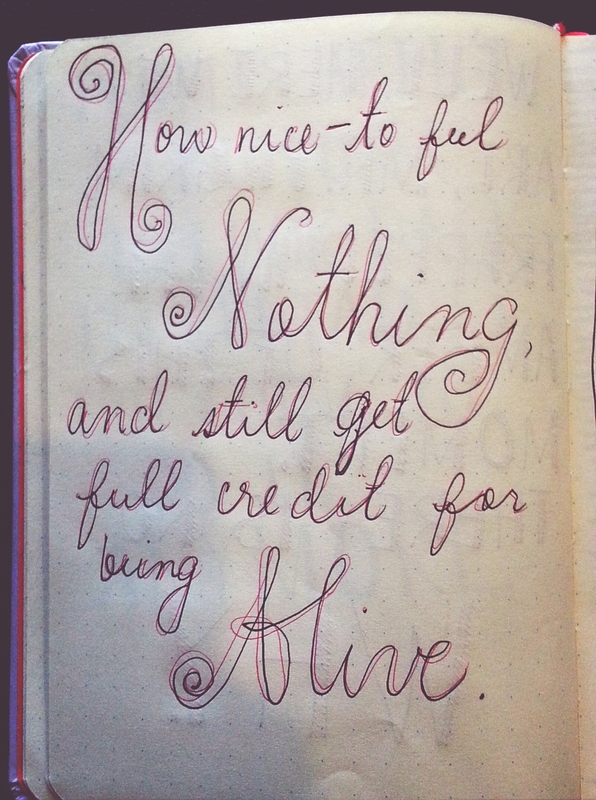 I have a separate sketchpad for drawings, and this time, I decided that I will kind of practice calligraphy by writing quotes that I like in books. 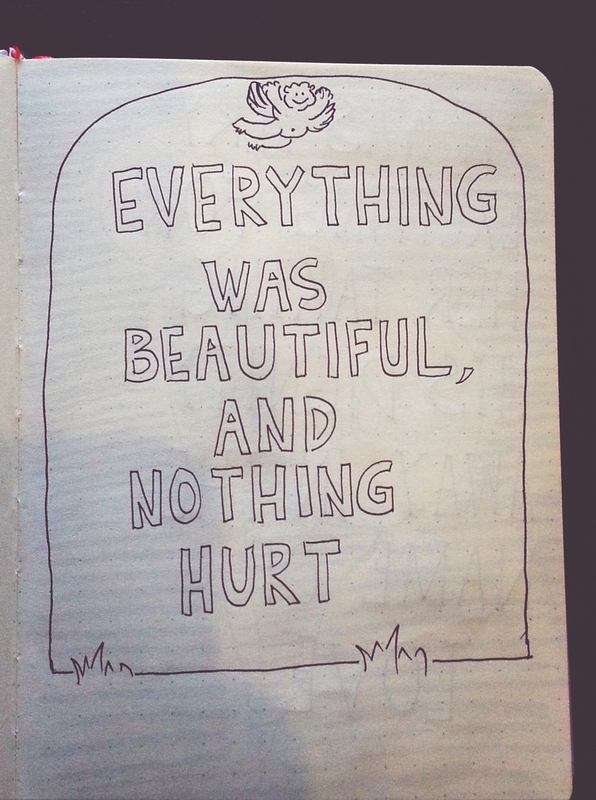 The book I started with was Slaughterhouse Five by Kurt Vonnegut, and damn, you should read it if you haven’t. I asked Juju about what he thinks of this quote (this is actually the quote that triggered me to do this calligraphy thing), and I remember he said “depends on what you mean by dance with death”, and I agree. Of course, Slaughterhouse Five is a war book (or an anti-war book), so “dance with death” can be taken literally. Juju said that he thinks it’s about experiences — it’s like writing, you can’t write without experiencing things. This actually refers to the Biblical Story of Soddom and Gomorrah. 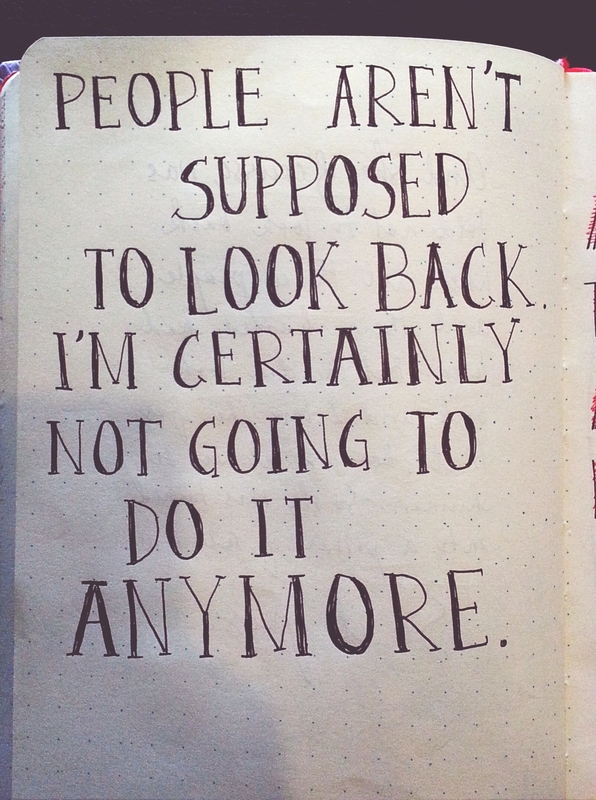 I believe that people still should look back, but not in the way that you have to dwell in your past. This struck me because I’m the type of person who’s, most of the time, nostalgic, always looking back to the good ol’ days, thinking that the same happy things will never happen to me again. And yes, they may not happen. But I know I have to keep in mind that happier things are yet to come. 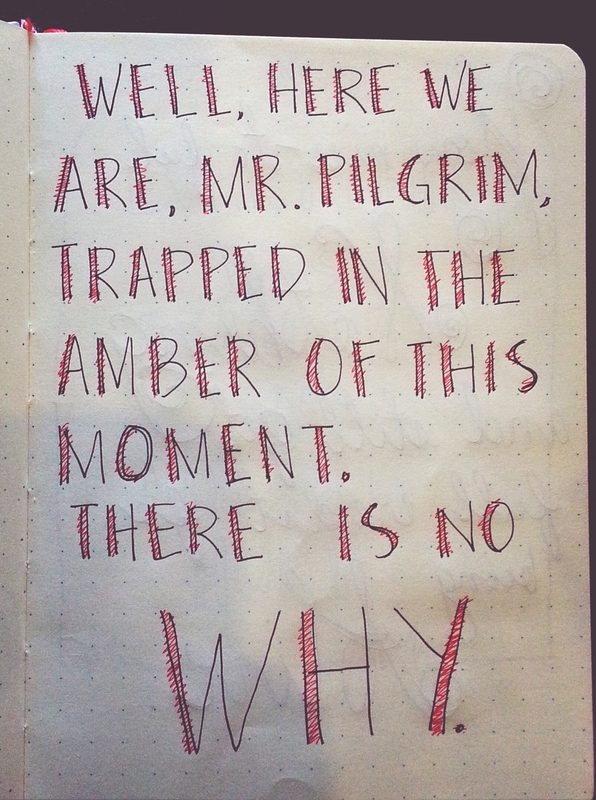 Mr. Pilgrim is the main character of the story — sort of. 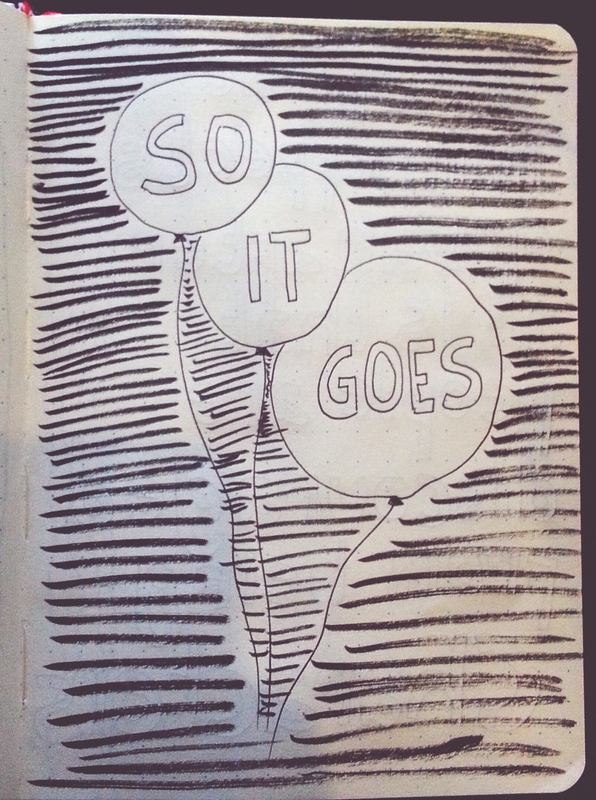 Slaughterhouse Five is about his story and not about his story at the same time. This may be ‘controversial’ in the sense that people always think there’s a purpose for everything. Maybe that’s true. Maybe it’s not, I personally believe we will never know. Right now, I think that we all just connect events in life to find the whys. It’s interesting to finally know the reasons behind certain events that are beyond us, but really, I think that things just happen (insight as of now). This is actually my favorite quote. I feel bad for not being able to write it properly (it looked different in my head lol). 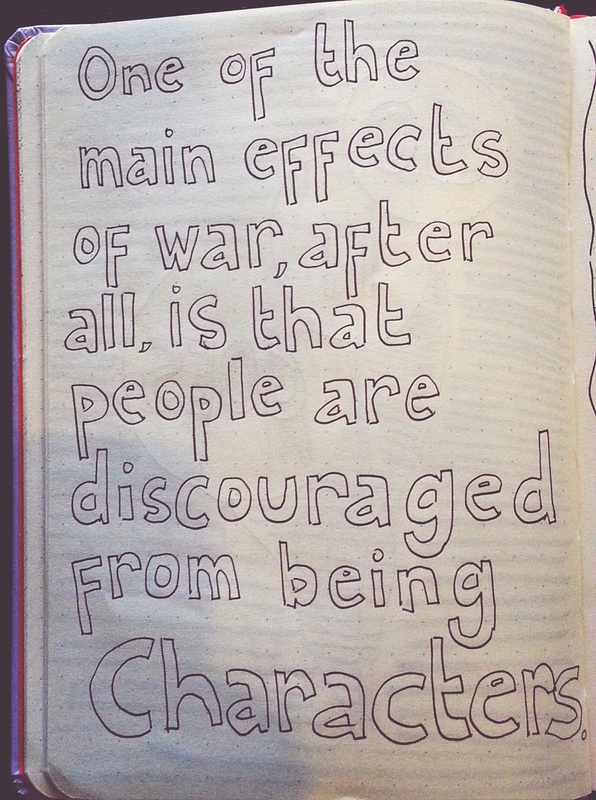 It struck me the most because while I was reading Slaughterhouse Five, I was in a state of.. well, apathy. I didn’t feel anything. It felt good, but at the same time, it worried me. People are supposed to feel, and it felt abnormal but very comfortable to feel nothing. A mantra I strive to live by every day of my life. I see this in a political perspective. I don’t think this needs to be explained. I really enjoyed reading the book and I hope you find time to read the book because Kurt Vonnegut is awesome and this book is seriously something you can apply in real life. 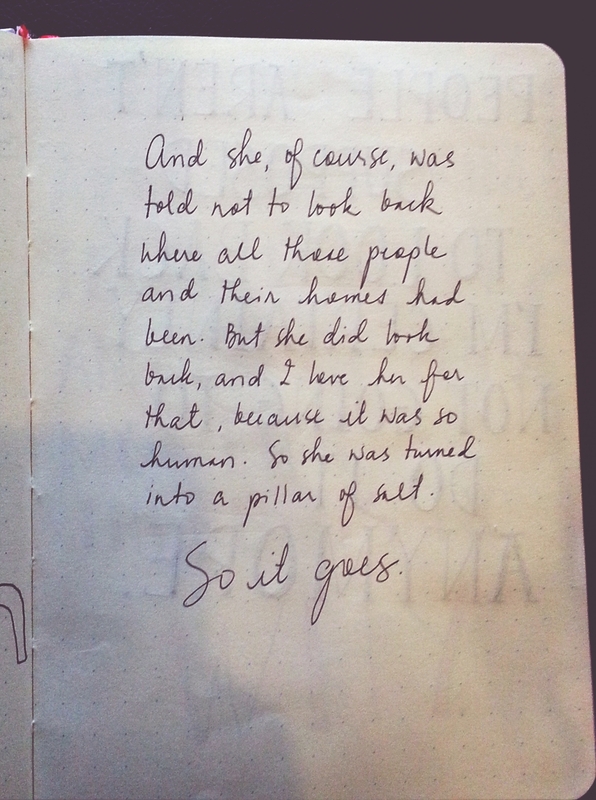 This entry was posted in Art, Literature, Personal and tagged Art, art journalism, diary, Kurt Vonnegut, notes, quotes, Slaughterhouse Five, typography. Bookmark the permalink.